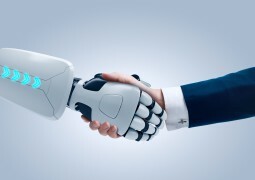 Robotic process automation: strategic or impulsive decision? RPA: strategic or impulsive decision? Can you predict how long it will take a person to process, let’s say 500 premium insurance advises? A wild guess would be two to four days. As per McKinsey, using robotic process automation (RPA), this will take 30 minutes. Now for the sake of this article, let’s assume that the COO of an insurance company receives the proposal which says that this work could be done in 30 minutes using automation. What do you think will happen to such an “automation initiative project”, which is proposed to him/her by one of the team (say, IT) for the budget approval? Well, as per my guess, he/she may provide a green signal for it without a second thought. You may be wondering what I am trying to say with all this “automation”. Everyone knows it is not a new concept, and it has existed for ages. How is it different now? Well, I am talking about a new way to do automation in this article – RPA and how it is like a fourth industrial revolution. As per KPMG, using RPA can give a success rate of 99%. Doesn’t it sound exciting? Anyways, before we go deep into RPA let us have a better understanding of different terminologies of “automation”. Automation is a technique of making a process or system operate automatically. Though we tend to think of automation as a modern phenomenon, it’s history quite extensive which can trace its roots back much further than that. 762 BC, to be exact. Moreover, the technology for it has evolved over a period of time. We will not be covering beyond history in this article. Software automation: It involves doing automation using software (virtual) to carry out the tasks which usually humans do when they are using computer programs. For example, GUI test automation to test computer programs. It used software to record the action of a human and is replayed to test the program autonomously. Industrial automation: It is the use of control systems such as robots and information technologies for handling different processes and machinery (physical) like physical machines and control systems in the industry to replace a human being. We have a different type of devices like computer numerical control (CNC, single-function machine), robotics etc. RPA mimics the work of humans at the user interface level, not at the application programming interface (API) level. Most technologies like imagining, workflow, BPM etc do not replace repetitive activities performed by the human worker. Thus, making RPA unique and different. Whenever we speak about the industry standards to achieve enterprise automation, we always talk about two ways – RPA or BPM. Well if you are confused when to use what – RPA or BPM – then let me tell you that you are not alone and it is a topic that is very frequent even in the minds of C-suite. Thus, it is essential for us to have a better understanding of it, before we go deeper in automation. RPA and BPM are part of the same family (they look similar) but they could not be called identical twins but second cousins (differences). RPA uses software or cognitive/artificial intelligence (AI) for performing business operations instead of human operators. BPM is an approach to re-engineer and streamline the underlying process to drive efficiency. RPA and BPM are not in conflict with each other in the enterprise. They both have the same goal but with different implementation strategies. Let us understand this with a self-driving car analogy: a BPM approach would require us to rip up all paved roads and install infrastructure for the new cars to move about on their own, while an RPA approach seeks to operate a pre-existing car just as a human would. RPA is the application of technology that allows anyone to configure computer software or a “robot” to capture and interpret existing applications for processing a transaction, manipulating data, triggering responses and communicating with other digital systems. It utilises rule engine and AI to automate routine tasks. Also called “digital labor” or “virtual workforce” or “bots” to drive efficiency, it increases productivity and cuts costs, by automation of repetitive and manual tasks without any changes in the existing infrastructure. Digitisation is the only way to meet the greater demand for real-time fulfillment, 24×7 availability, a personalised consumer experience, higher accuracy, predictive data, faster processing and improved customer identity management. Thus, every organisation is moving from analog to digital. RPA is the front-runner to provide this straight-through processing (STP). We will be speaking, about its advantages in next section. What are the benefits of using RPA? RPA is completely coded free and platform agnostic. Thus, they are designed for business users then technical users. In the past, we only use to have bespoke automation tools and they could not easily be deployed on a large scale, and they required a specialist technical resource to set up and maintained them. RPA can operate 24×7 and takes no vacation when compared to humans, who work from 8am to 5pm and take a fixed number of annual leaves. Thus, higher efficiency can be achieved. An insurer can enjoy up to a 150% cost advantage over competitors by optimising efficiency across marketing, sales, back-office operations, IT, and other support functions. In 2016, Capgemini surveyed 150 executives from companies of different sizes and revealed that 86% participants feel that RPA can reduce risk and increase compliance. You might be wondering why. It is due to human error or skipping of steps in the process. Now with RPA, all these risks will be performed 24x7x365 with no exceptions and save millions of dollars in fines. RPA tools have the flexibility to change or add the process to address the changing realities of financial institutions business needs (applications, process, procedures, regulatory requirements). Additionally, we can add tens or hundreds of robots at the same time. Thus, it creates a harmonious framework for financial institutions, to scale up or scale down instantly as well as train and deploy thousands of robots while maintaining consistency. The majority of the errors in a process occur either because of human error or skipping of predefined step/rule. Thus, it compromises accuracy and quality of the process. RPA, on the other hand, follows all the rules and do not whine at the time of the work. This results in 100% accuracy/quality every time it is used. Transactions are no more prone to delays, due to illness or vacations of the employees and are always a back-up. The most significant advantage is that it helps in freeing resources for other higher value analysis and decision-making aspects like product innovations, customer engagement, etc. What do we need for a “successful automation” project? Is there really a need to be strategic? Is just knowing basic definition or terminology of automation is enough? inability to integrate legacy applications with new applications (64%). It is clear from the above survey, that if we need to achieve automation then we need to have a good understanding of all the processes and interfaces around it. In short, we need to know the broader spectrum of organization process and “key stakeholders” who knows them so that they can explain the process or issues during system integration. Not sure how you see it but for me, it means we need to have “organisation” level agreement. Let me take an example: mid-size bank decide to have RPA and thus deploys thousands of bots to automate “manual data entry” which generates a ton of data. Moreover, nothing more is done to deploy this data for analytical part of it. I am sure it is an excellent idea of doing automation of “manual data”. However, it will also bring CIO and its peers in an unfortunate scenario as it is not giving any business benefit. Key messages from the above-mentioned survey analysis are that automation (RPA scenarios) touches a broader spectrum in an organisation, right from the generation of insurance advice to responding to emails. As per the CIO Magazine, RPA requires proper design, planning, and governance if it is to bolster the business. Thus, it needs to a be long-term journey/project (a strategic decision) for the enterprise rather than a piecemeal project that evolves into something unwieldy. For example: before we even consider to implement RPA we need to have an operational model design ready otherwise small things like “handshakes” between two different RPA process can break the entire business process. Hence it is apparent with above findings that automation (RPA) had to be “strategic” not “standalone”; we also need to have a clear view of the benefits it will bring to the organisation. Why RPA needs to be a “strategic decision”? RPA is a different breed of technology which needs to be deployed efficiently to deliver its full benefit to business operations. Thus, work needs to be done at enterprise level – a “strategic decision”, and multiple stakeholders are responsible to realize its implementation benefits. As per Forrester estimates, by 2021, we will have around four million robots doing office, administration, sales and other related tasks. Thus, few other essential aspects which are unnoticed during the “implementation” of bots (RPA) – management, “interdependence”, “inter-connections” and governance of bots. We can use automation tactically for cost savings. However, if we will like to get more like streamline process, leverage efficiency etc then we need to use it beyond a single department or a single process in a deparment. Thus, the success of any RPA initiative depends on the depth, detail, and feasibility of its implementation plan and the commitment of the organisation towards its timely execution. According to IDC Worldwide, spending on digital transformation will jump to the $1.2 trillion. RPA technologies have already traveled so far from simple screen capturing to the streaming of the entire business process. I believe that the industry is going to be more innovative regarding building emerging RPA solutions. Currently what is missing in the solution provided by RPA, is human touch while responding to the scenarios. It can be filled by using machine learning (ML) and AI in the future. In short, robots will be able to learn and think while handling tasks. For example, robots are required to receive unstructured data from multiple sources. Using ML and AI, future RPA will be able to interpret the incoming data and automate tasks. Thus, minimal human intervention will be required. Scary! I also think so. Do not worry, tasks which require “emotions” like customer advice cannot be automated. In next article, I will talk about RPA and its impact on risk and regulatory reporting. NICE work if you can get it. And you can get it – if you buy. Who should "own" automation within a bank? SME financing provider Spotcap has implemented Kofax’s Kapow robotic process automation (RPA) software. Will robotic process automation herald a new digital era in regulatory compliance in banks? Exploring how the robotic process automation (RPA) powered digital workforce looks to disrupt the manual effort intensive regulatory compliance landscape in BFS, what edge it has over its human counterpart, the roadmap towards RPA driven compliance, challenges in this digitisation journey and success mantras, and innovations that are underway towards building intelligent RPA to replicate human decision-making. Series E investment round bags some serious money. Will design tech to digitise and automate corporate payment and trade transaction processes. Robotic process automation is essential to create a scalable, cost-efficient infrastructure.